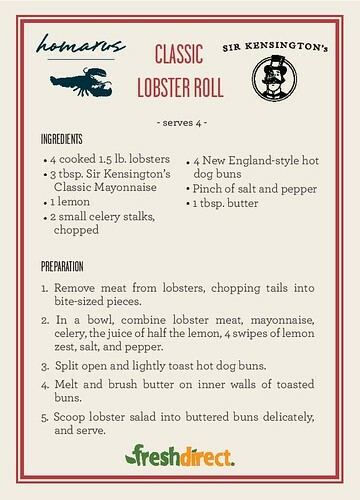 Let me see you lobster roll. 1. Remove meat from lobsters, chopping tails into bite-sized pieces. 2. In a bowl, combine lobster meat, mayonnaise, celery, the juice of half the lemon, 4 swipes of lemon zest, salt, and pepper. 3. Split open and lightly toast hot dog buns. 4. Melt and brush butter on inner walls of toasted buns. 5. Scoop lobster salad into buttered buns delicately and serve.